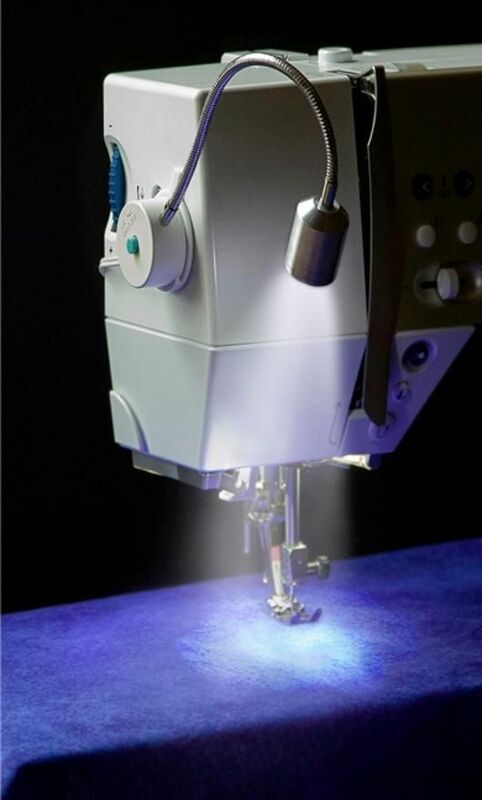 You will love this flexible little LED light which attaches to your sewing machine and provides brilliant WHITE light, right where you want it. You'll also love our special price on this light which typically retails for $49.95! No batteries are needed. 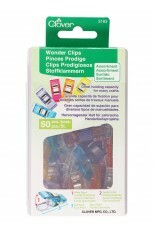 The light comes with an 8-foot power cord and six removable adhesive clips to hold the wire out of the way. An ON - OFF push button on the base of the light makes it easy to turn the light on or off. Non-magnetic mounting brackets are used to attach the light to your machine, so it uses no counter space and won't harm the electronics of your machine. 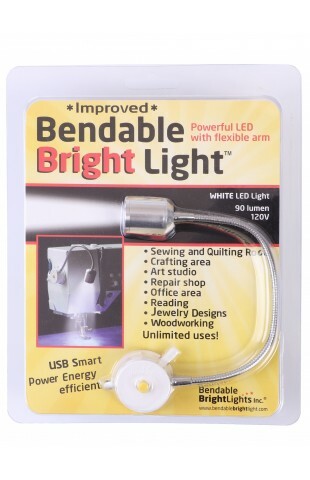 The light features a quality metal flexible arm and metal light housing with a single LED. 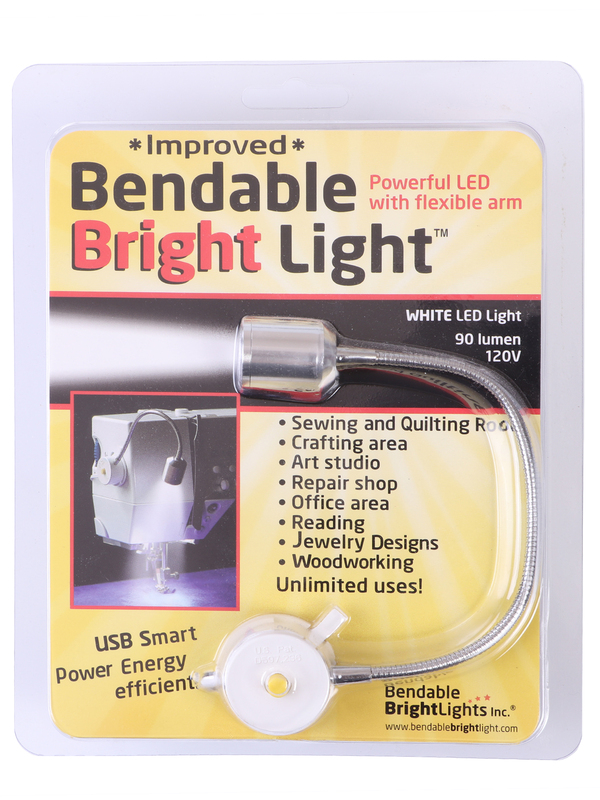 The Bendable Bright Light provides brilliant flexible pure white light for detailed projects and hard-to-see places. You can position the light right where you want it and it's not in the way. P. S. Your husband will want one for his workshop, too.